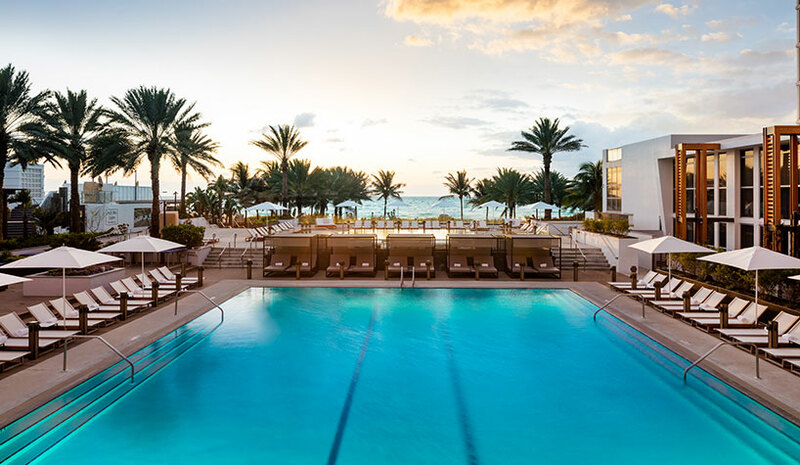 MIAMI—Eden Roc Miami Beach is changing the way guests stay and experience its luxury amenities with an all-inclusive package designed to enjoy all there is to offer—without breaking the bank. Offered for a limited time by the resort, AIC Hotel Group’s VP of Marketing Frank Maduro saw an opportunity to bring an all-inclusive concept to the resort. AIC Hotel Group is exclusively contracted by RCD Hotels to spearhead the sales and marketing efforts for luxury resort properties in Florida, including Eden Roc Miami Beach. When guests book a minimum two-night stay or upgrade their existing reservation up until June 30, they can select an all-inclusive option for a stay from now through Oct. 31. What’s not included? Gratuity and service fees. The all-inclusive offer excludes the Lobby Bar, Nobu Restaurant, valet parking, beauty salon services, full bottles of liquor and premium liquor bottles, beach umbrellas and coffee shop retail items. Dining venues and participating outlets are subject to change without notice. Existing bookings that fall within the travel window are able to upgrade to all-inclusive package. All-inclusive guests must order from participating outlets. All-inclusive menus are subject to a service charge. If the test pilot proves successful, Maduro noted there could be an extension of the all-inclusive program at Eden Roc Miami Beach. The resort’s new offering could be an enticement for locals to stay and play along with out-of-towners. Additionally, Nobu Hotel Miami Beach guests also now have the ability to book the package for stays in Nobu Hotel rooms. “From staycations to family getaways and romantic escapes, adding an all-inclusive option provides a great added value for those looking to enjoy each aspect of the hotel’s curated offerings and provides a great way for locals to experience both hotels [Nobu Hotel Miami Beach and Eden Roc Miami Beach] without having to spend a fortune,” he concluded. Previous ArticleIs Insect Monitoring Technology Right For Your Hotel?